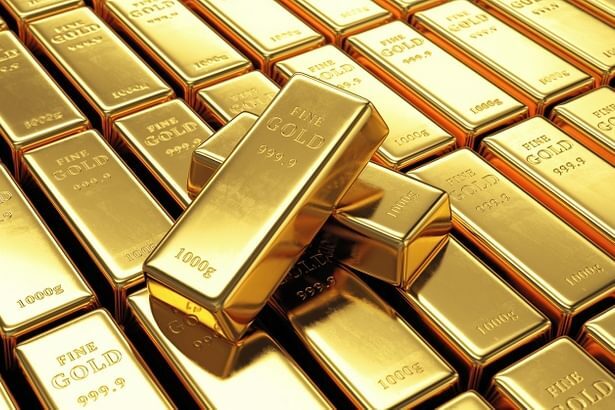 Gold futures prices climbed Monday, with the recent retreat in the U.S. dollar helping to put the metal on track to notch its strongest level in roughly two weeks, as investors tested key chart territory for bruised bullion. August gold GCQ8, +0.49% was up $5.90, or 0.5%, at $1,261.70 an ounce. A settlement around this level would be the highest since June 25, FactSet data show. Gold notched a slight gain for last week, after a mostly upbeat U.S. jobs report was seen keeping the Federal Reserve on a path toward gradually higher interest rates, moving at no faster a pace than longtrend expectations for markets. Yet, gold futures at the start of last week had hit their lowest levels of 2018, knocked lower by a strengthening dollar. The most popular fund tracking gold, the SPDR Gold Shares GLD, +0.40% was up about 0.5%. The ICE U.S. Dollar Index DXY, +0.14% traded nearly flat Monday, but was down 0.6% so far this month. A weaker buck can make assets pegged to the currency, including gold, more attractive to buyers using other monetary units. In fact, gold, often used as a haven asset, firmed even as U.S. stocks saw a strong start to the week. Global markets eased their focus on trade matters for now. Concerns about fraying relationships between the U.S. and its longstanding trade partners in the European Union, North American and China, have helped strengthen the dollar and have weighed on commodities priced in the monetary unit, including bullion. The dollar index has posted gains in each of the last three months, while gold futures fell in April, May and June. Gold demand also has been hurt by the fear that a trade spat may hurt Beijing’s economy, which already has shown signs of decelerating in recent months. China is one of the world’s biggest buyers in metals, including gold. Around the metals complex, September silver SIU8, +0.54% rose 0.5% to $16.155 an ounce. Silver shed about 0.8% for last week. The most popular exchange-traded fund that tracks silver, the iShares Silver Trust SLV, +0.43% was up 0.6% for last week and already rebounding about 1% early Monday. October platinum PLV8, +0.79% rebounded 1.5% to $861.60 an ounce. It logged a weekly loss of 1.1% through Friday after settling Monday at the lowest for a most-active contract since late 2008.